Blend the mangoes and keep aside. Heat a heavy bottomed kadai and add the blended mango and sugar. Stir it continuously. 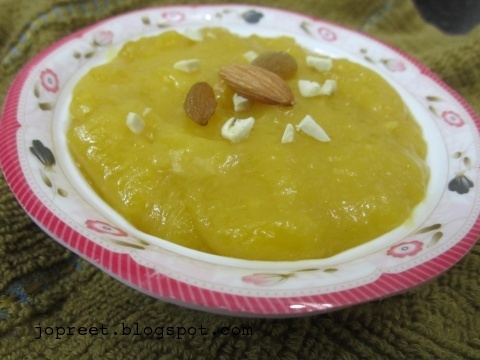 Add little ghee in between while stirring. 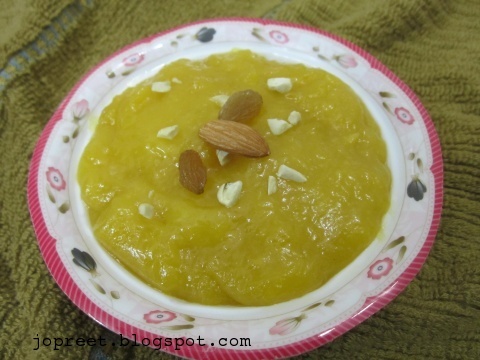 Add cardamom powder to halwa. 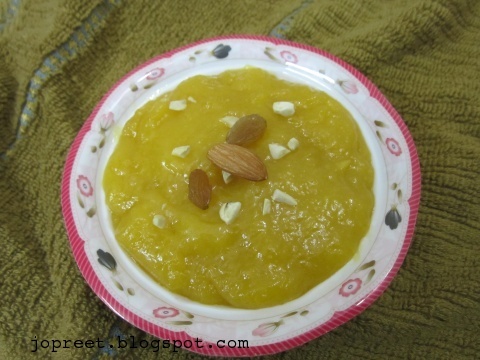 When it reaches halwa consistency, add little ghee and remove from the heat. Garnish with dry fruits and serve it hot or chilled. very flavorful and mouthwatering dessert. Looks very tempting with the color.healthy in another way PT.